This project involved developing a re-usable learning object (RLO) tutorial aimed at international students and delivered via a flexible self-contained, self-paced, independent model directly accessible by students in their own time. The interactive tutorial will incorporate specific learning activities, assessment, quizzes and evaluation. There is further scope over time for the development of an extensive suite of RLOs – flexible, open and applicable to a wide range of other student cohorts (Springboard, undergraduate interdisciplinary, discipline specific, part-time, lifelong, generic skills, research, taught postgraduates). The library learning support team currently delivers information literacy, information and research skills instruction to c.2,000 students and faculty each year. The majority are delivered via asynchronous training to student groups, one-to-one, one-to-many across multiple campuses in dedicated learning spaces. The RLO approach is location independent and addresses the needs of ‘non-conventional’ students not on campus, part-time, mature, time-poor students etc. 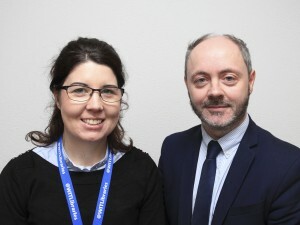 The project was delivered by WIT Libraries Learning Support Team, who have extensive experience in designing, developing and delivering information skills tutorials and programmes. Articulate Storyline 2 software was utilized to develop the RLOs. The library was ideally placed to be a digital champion. At the centre of WIT, the library is pivotal to supporting and engaging with learning, teaching and research. A strong track record of delivery and student engagement, the library has a captive and consistent audience via its learning support programme that would ensure project delivery. A proven innovative service and willing collaborator – developed first online information literacy tutorial in Ireland (OLAS, 2004), won student experience innovative teaching award (2009) strong record of academic publications and presentations, previous successful project delivery (NDLR, 2012) – acknowledged by PRIMO (premier resource of the ACRL (USA) for online instructional materials).